Building a shooting range can be a daunting task. There are so many different things to consider and decisions to make that it can become a little overwhelming. One issue that seems to confuse potential range owners the most is bullet containment. 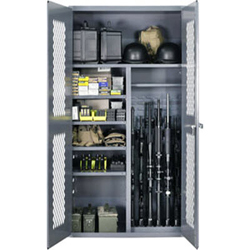 Without a doubt, bullet containment is the most important aspect of every indoor and outdoor range. Proper containment of fired rounds means safety for your employees and customers, but with so many different types of bullet traps available on the market that promise to do this or that, choosing the right system can be hard. 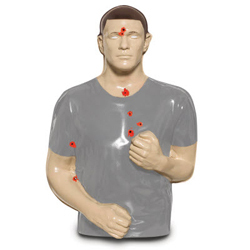 The purpose of this article is to provide accurate information and valuable education by examining various bullet trap theories, technologies, and applications in an objective manner. The following information represents the views and opinions of Action Target based on our experience and observations. You are encouraged to conduct your own research and speak with other users about their experiences with the various bullet trap technologies presented. With this trap, tightly grouped rubber curtains or lamellas are hung from a support structure to create a bullet stopping barrier. As bullets pass through the layers of rubber strips, their energy is dissipated until they come to a stop. A steel plate is mounted at the back of the trap to block rounds that make it through the lamellas. Because rubber is destroyed every time you shoot into it, the rubber strips are quickly shredded under any kind of moderate to heavy use. One of the most quoted features of rubber traps is that bullets don’t fragment on impact like they do on steel. This is true until bullets start impacting other bullets already embedded in the rubber. The benefits of a lamella trap include its small floor space requirement, and the ability to capture some bullets whole. Weaknesses include high maintenance costs, fire hazard, messy appearance, and the restriction of low volume shooting only. Another European design uses a large steel chamber filled with chopped rubber and a penetrable rubber sheet across the front the keep the rubber granules in place. The trap works the same way a sand berm works, except the sand is replaced by granules of chopped rubber and the face of the trap is vertical. 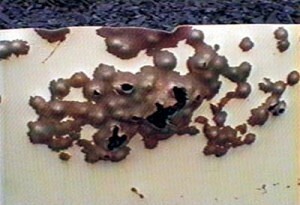 Like the rubber lamella trap, the front skin of the rubber granule trap is permanently damaged each time a bullet is fired into it. 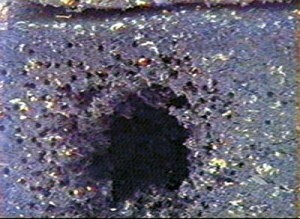 As larger and larger holes are created in the front skin, rubber granules can spill out and large bulges can develop as the structural integrity of the trap is compromised. Regular patching and repair is often required to keep the granules in the chamber. As the granules settle, areas of dangerously low density can form at the top of the trap causing rounds to pass through the rubber and escape out the back. To clean the trap, bullets must be mined and separated from the rubber then disposed of properly. 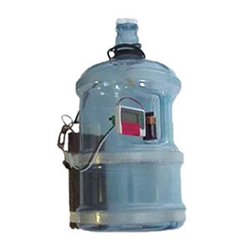 The benefits of a vertical rubber granule trap include its small floor space requirement, the ability to capture some bullets whole, and reduced lead dust levels. Weaknesses include massive ongoing maintenance, service costs, fire hazard, and the restriction of low volume shooting only. The rubber block trap is similar in concept to the rubber granule trap, except the rubber granules are molded together to form a solid object. The rubber blocks are stacked on top of each other to create a wall that serves as the bullet trap. When a bullet is fired into the blocks, it is stopped and stored within the block itself. Like all rubber traps, the blocks are damaged with every shot and large holes can quickly develop, severely limiting the trap’s ability to stop bullets. As the holes get larger, the blocks get weaker and the whole wall tends to collapse under its own weight. The benefits of a rubber block trap include its small floor space requirement and the ability to capture some bullets whole. Weaknesses include UV breakdown, significant ongoing maintenance, fire hazard, and structural collapse. The wet funnel trap incorporates gently sloping steel plates that reduce bullet fragmentation on impact. 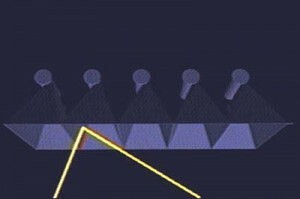 As bullets hit the plates, they are directed to the narrow end of the funnel and enter a deceleration chamber where their energy is dissipated. While the upper impact plates remain dry, the lower plates are constantly flooded with a water and oil mixture that is intended to lubricate the steel. 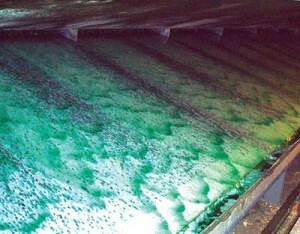 The water is continually recycled as it flows down the plates and into a holding tank where it is electrically pumped out and again sprayed on to the plates. On indoor ranges, some wet trap owners report that the increased humidity can leave an oily film on the rest of the range and may cause HEPA filters in the ventilation system to clog. They have also discovered that frangible ammunition can cause problems because the powder created by disintegrating bullets mixes with the water and hardens into a cement-like substance that requires an extremely difficult cleaning process. It has been recommended to treat the water with chlorine to prevent algae in warm climates, and antifreeze to prevent freezing in colder climates. These substances combine with the water, oil, and lead, and can create a significant hazardous waste problem. The benefits of a wet funnel trap include the durability of steel, reduced bullet fragmentation, reduced lead dust levels, and the ability to handle larger calibers. 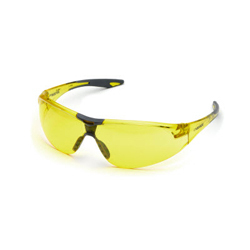 Weaknesses include its higher cost, large floor space requirement, water treatment chemicals, increased humidity, problems with frangible ammunition, maintenance of the electric pumps and filters, and its nonmodular construction. Instead of a continuous horizontal funnel, this trap uses a series vertically oriented funnel boxes to gather the bullets. As with a horizontal funnel, bullets are deflected by the impact plates into a deceleration chamber at the back of the trap where they are collected and stored. The angles of the impact plates are not as severe as a venetian blind or escalator type trap, but they are more severe than other modern steel traps so bullet fragmentation on impact can still be an issue. 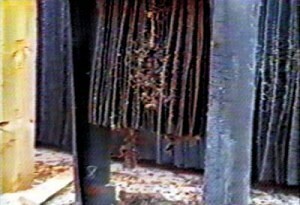 As individual chambers are mounted next to each other, vertical edges that run from the top to the bottom of the trap are created. These edges can pose a significant ricochet hazard. Additionally, the individual chamber design prohibits any cross-lane shooting and greatly limits the flexibility and functionality of the trap as a whole. 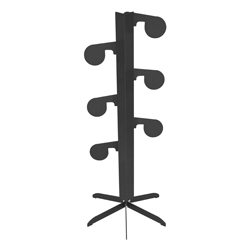 The benefits of a vertical funnel trap include the durability of steel, easier lead collection, and a smaller floor space requirement. Weaknesses include bullet fragmentation, no close-range shooting, and no cross-lane shooting. There are hundreds of things to take into consideration when building a shooting range, but your top priority should always be safety. Before anything else, make sure your range is going to be safe for your customers, your employees, and the environment. If you are considering building a range, talk to the Action Target representative in your region and he will be happy to help you find the right equipment to fit your needs and budget.